'Crimewatch Connect' lifts the important information from broadcasts and places it into a space which is engaging and familiar with its audience. The aim of 'Connect' is to expand on the Crimewatch experience, through the use of more regular participation than the show’s existing platforms. 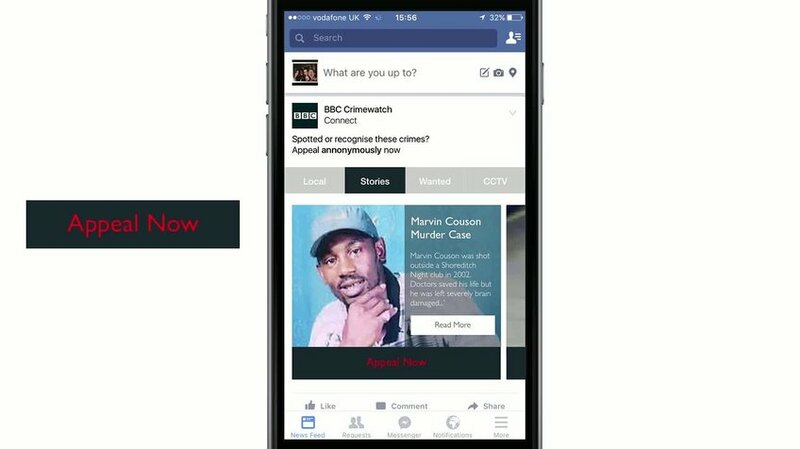 Placed into social media feeds, users are able to browse through content found in Crimewatch’s television broadcasts and website. Working on the interactive experience offered by Crimewatch, there is the ability to post and view local crime around your area, ensuring that you are aware of the crimes that are going on around you.